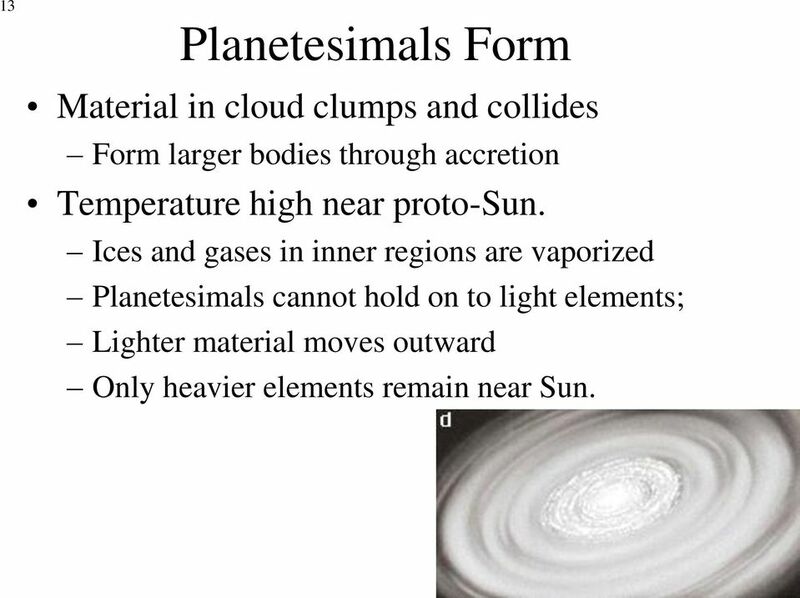 Download "Lecture 10 Formation of the Solar System January 6c, 2014"
13 13 Planetesimals Form Material in cloud clumps and collides Form larger bodies through accretion Temperature high near proto-sun. 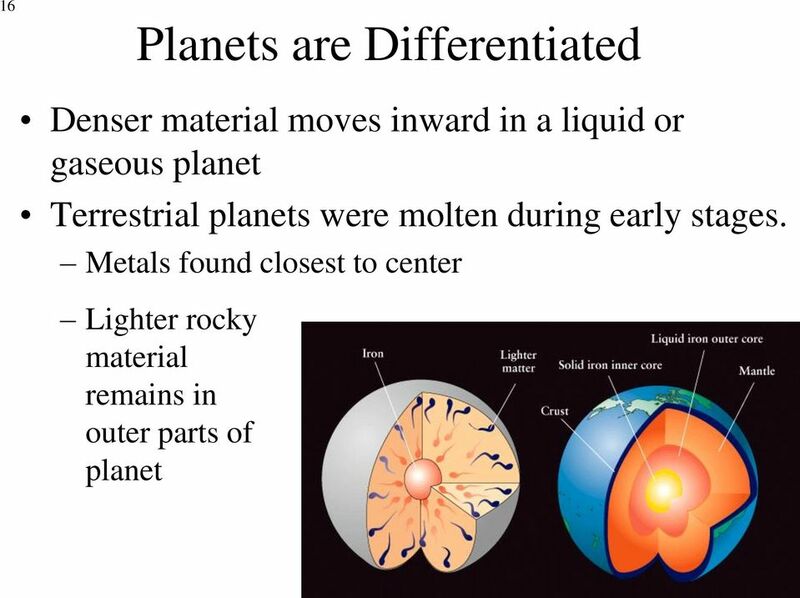 Ices and gases in inner regions are vaporized Planetesimals cannot hold on to light elements; Lighter material moves outward Only heavier elements remain near Sun. 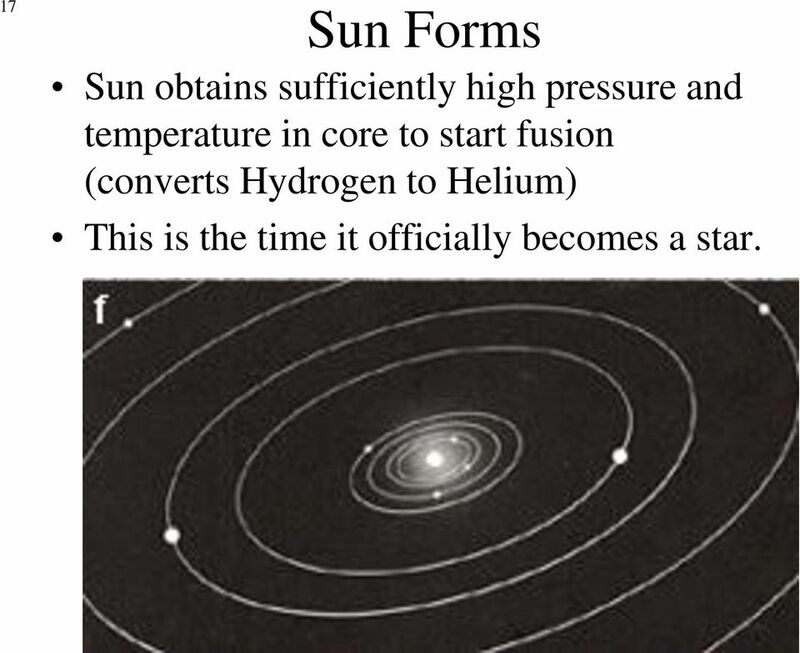 17 17 Sun Forms Sun obtains sufficiently high pressure and temperature in core to start fusion (converts Hydrogen to Helium) This is the time it officially becomes a star. 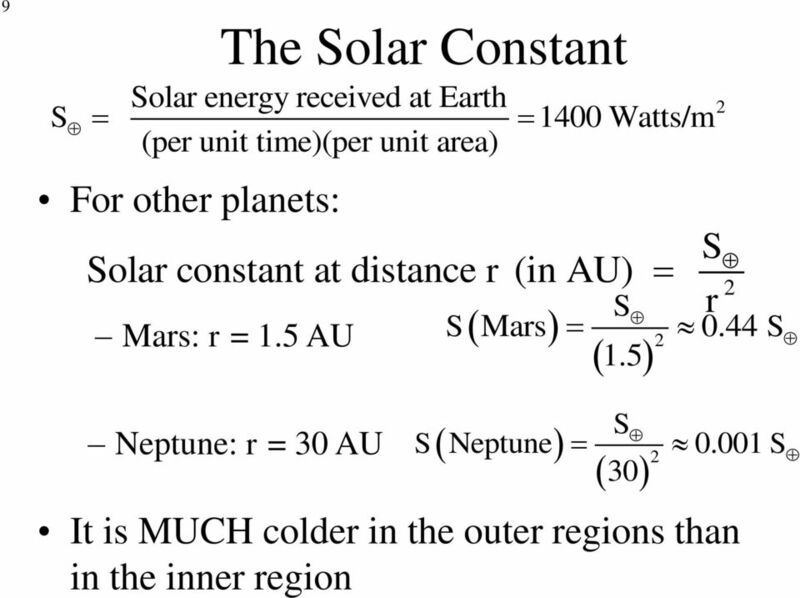 20 20 One explanation of why the planets near the Sun are composed mainly of rock and iron is that A. the Sun s magnetic field attracted all the iron in the young solar system. B. the proto-sun ejected iron-rich material from its surface. 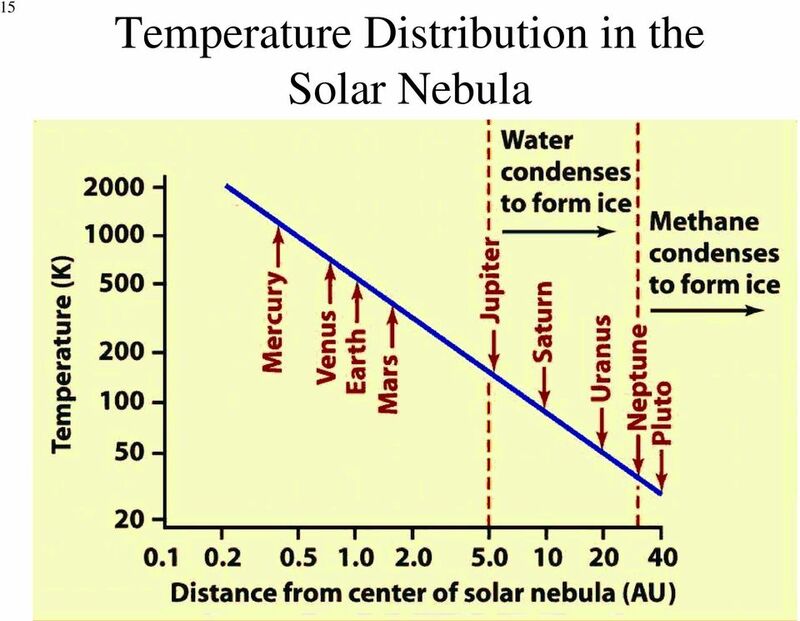 C. the high temperature near the proto-sun made it difficult for ices and gases to condense. 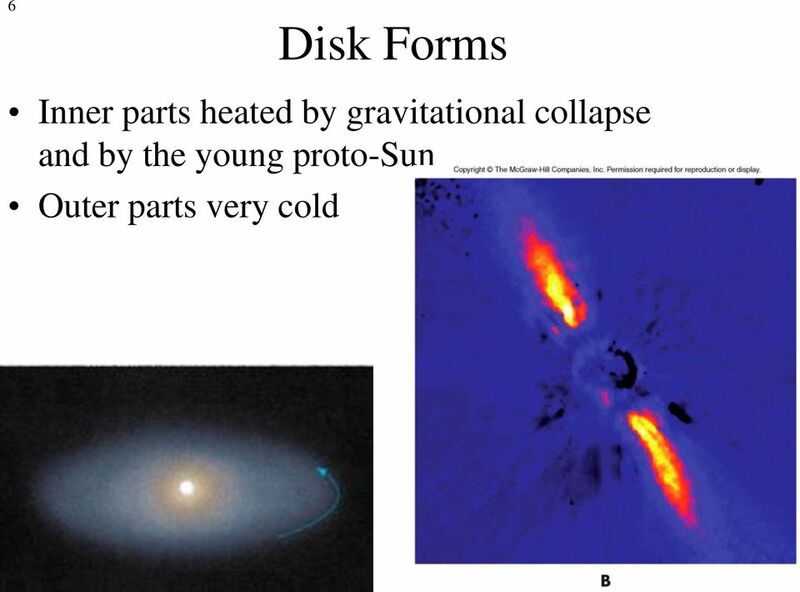 D. the Sun s gravitational attraction pulled iron and other heavy material inward. 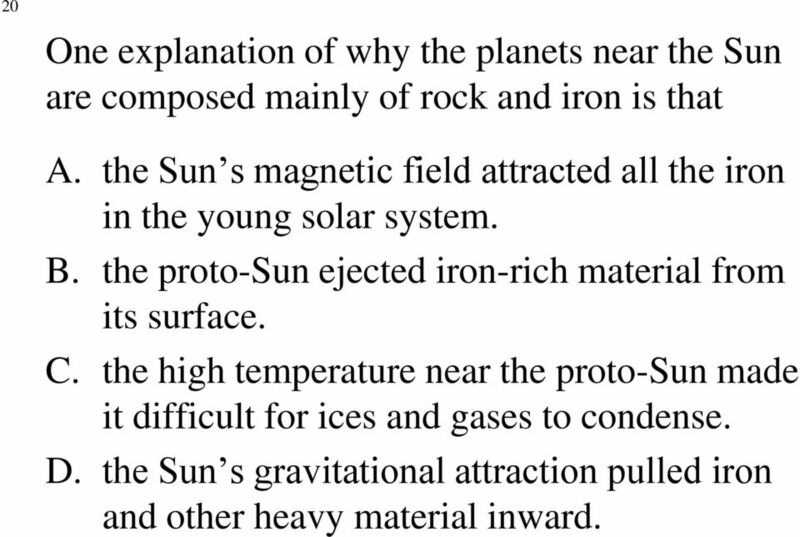 21 21 One explanation of why the planets near the Sun are composed mainly of rock and iron is that A. the Sun s magnetic field attracted all the iron in the young solar system. B. the proto-sun ejected iron-rich material from its surface. 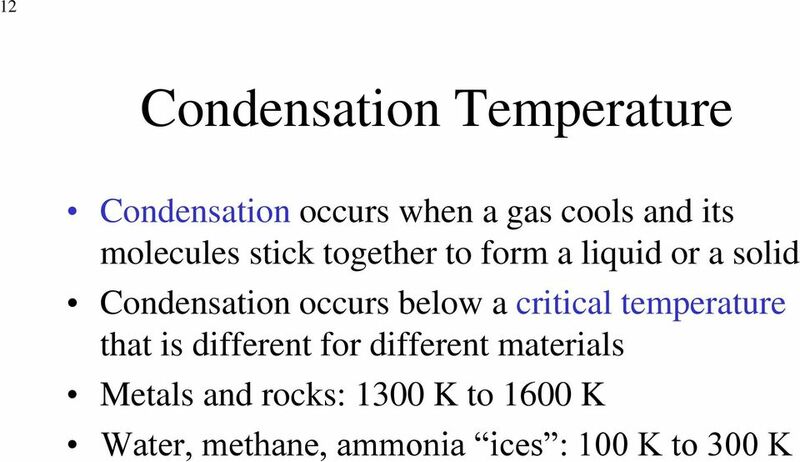 C. the high temperature near the proto-sun made it difficult for ices and gases to condense. D. the Sun s gravitational attraction pulled iron and other heavy material inward. 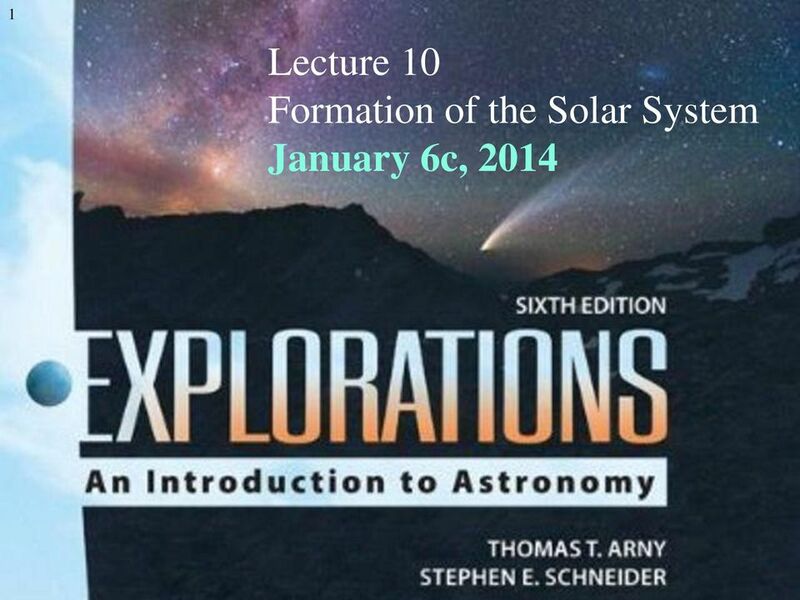 Chapter 6 Formation of Planetary Systems: Our Solar System and Beyond. What does the solar system look like? 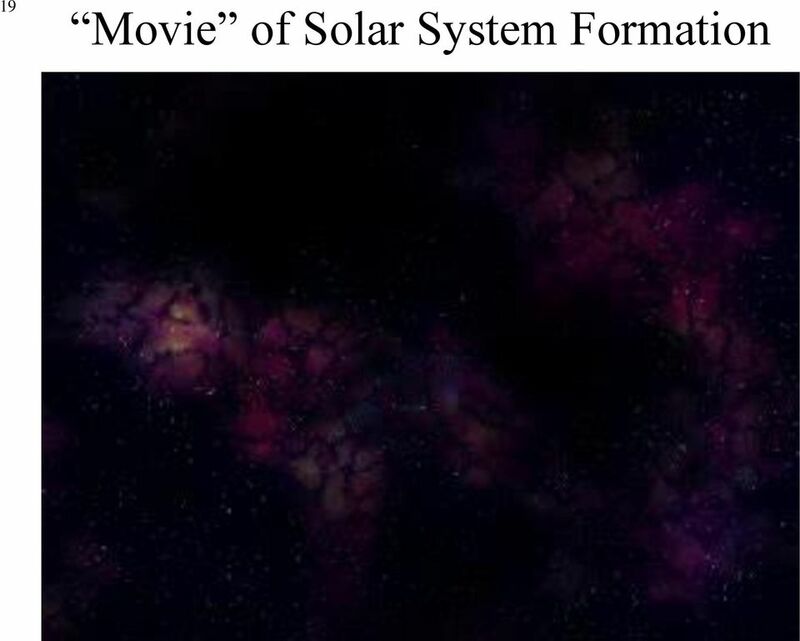 What does the solar system look like? 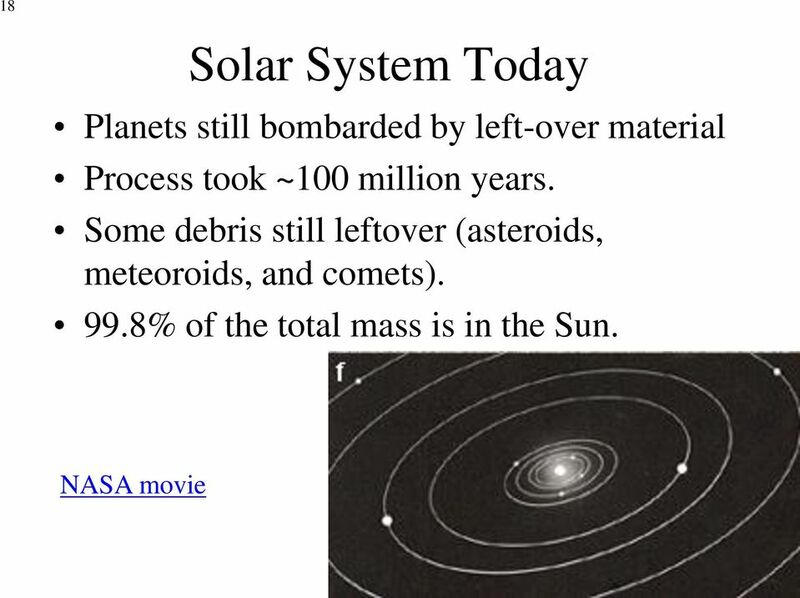 Formation and content of the solar system. Mid-term Exam #2, this Wed, Oct 15th. 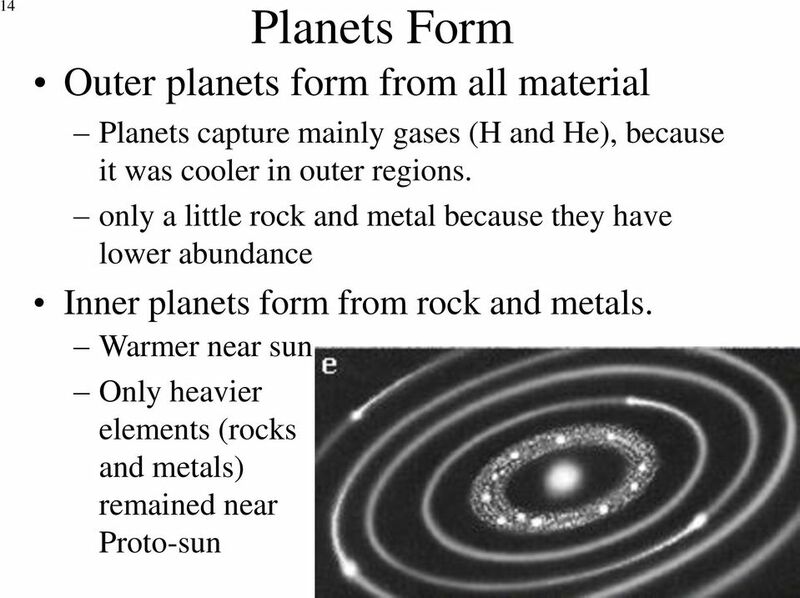 Chapter 6 The Solar System Pearson Education, Inc.
CHAPTER 19 13 SECTION The Solar System Formation of the Solar System KEY IDEAS As you read this section, keep these questions in mind: How did early astronomers understand and describe the solar system? Exam #1. Exam #1. Exam #1. Nighttime observing has 4 more nights. Check the webpage. 4. 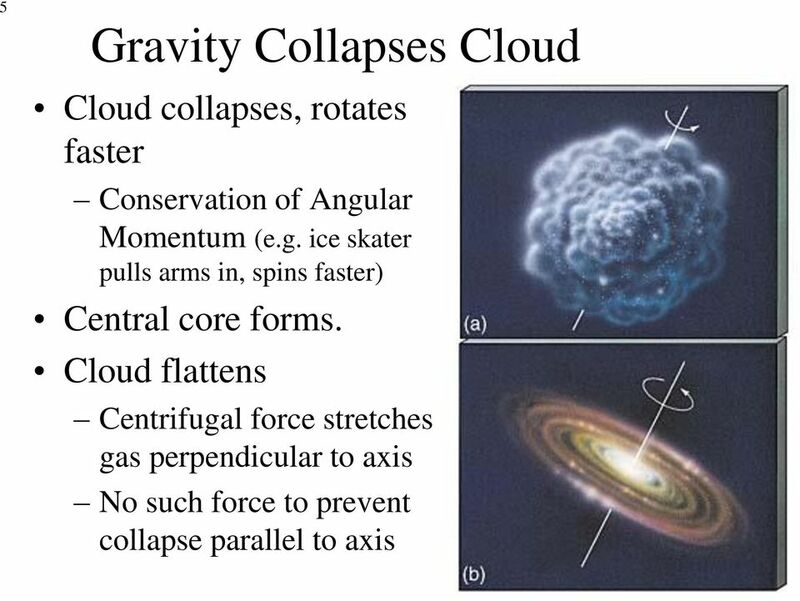 In the stages of star formation, what is formed when a prestellar core collapses? 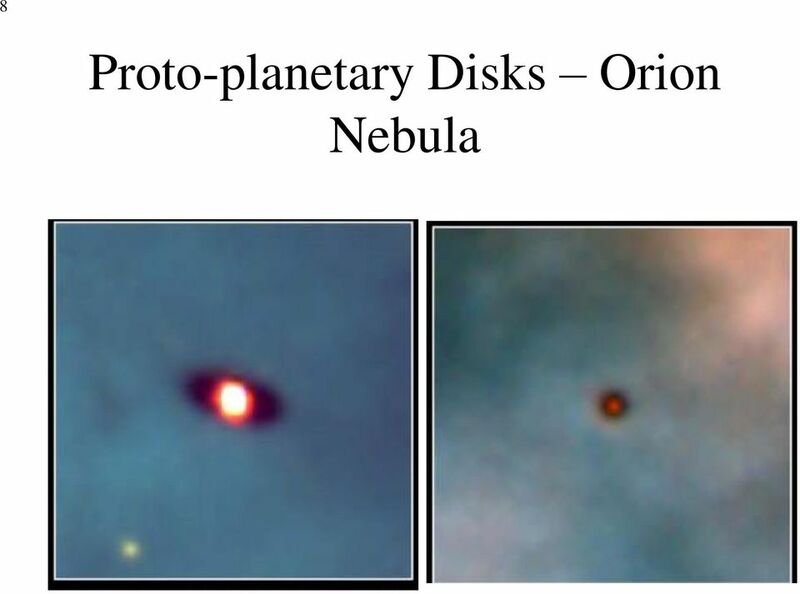 a. Protostar c. Planet b. Star-forming core d.
1 The Nine Planets. What are the parts of our solar system? 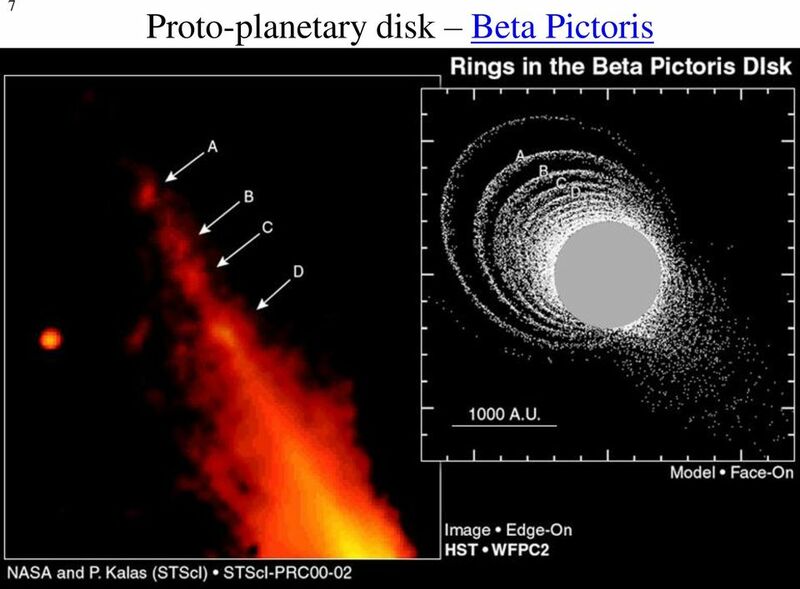 When were the planets discovered? How do astronomers measure large distances? How to study for this course Before coming to class: Read the corresponding chapter, or at least scan through the chapter and read the main headings. You must read the summary at the end of each chapter. 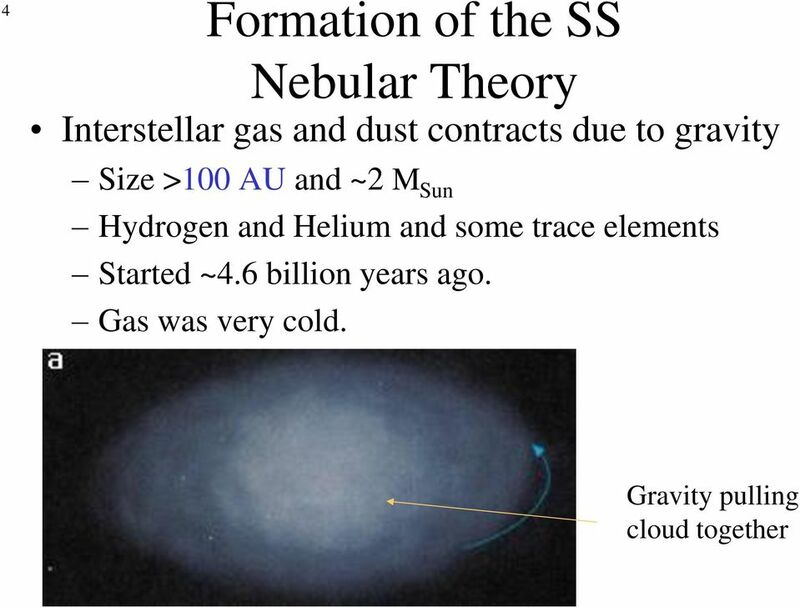 The Origin of the Solar System Questions: How did the various constituents of Solar System form? What were the physical processes involved? When did they form? Did they all form more-or less simultaneously? THE SOLAR SYSTEM - EXERCISES 1 THE SUN AND THE SOLAR SYSTEM Name the planets in their order from the sun. 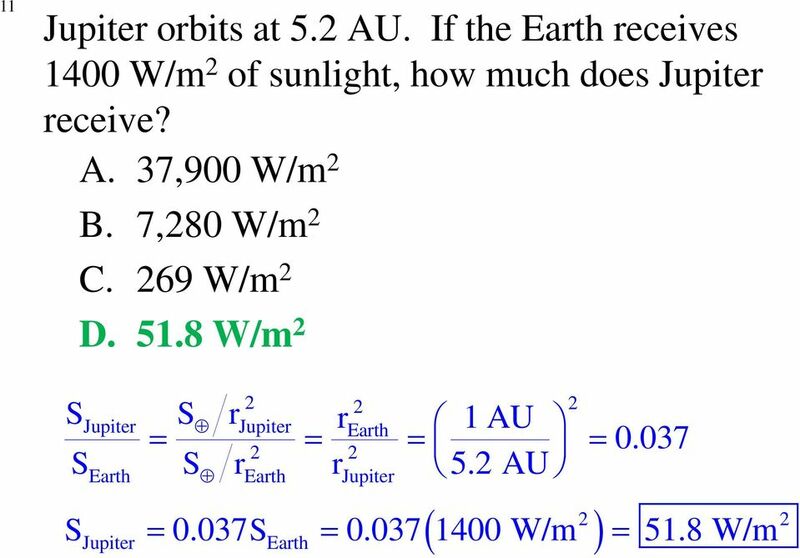 1 2 3 4 5 6 7 8 The asteroid belt is between and Which planet has the most moons? About how many? Name Class Date. How did Earth s moon probably form? How does the moon s appearance change with time? What moons revolve around other planets? 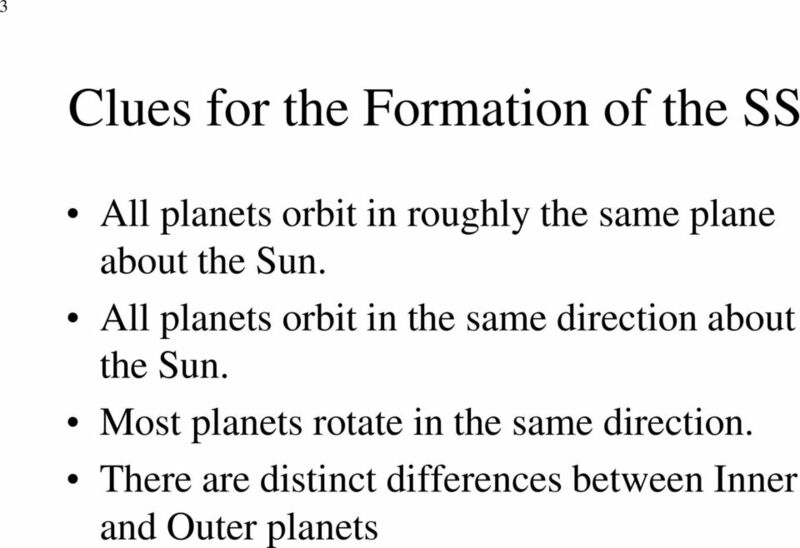 LESSON 3 THE SOLAR SYSTEM Chapter 8, Astronomy OBJECTIVES Identify planets by observing their movement against background stars. Explain that the solar system consists of many bodies held together by gravity. 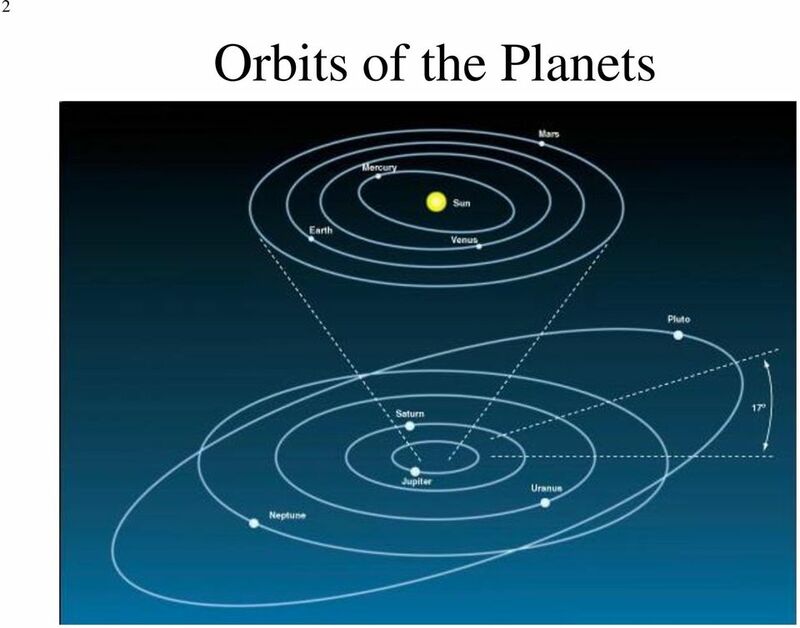 Our Planetary System. Earth, as viewed by the Voyager spacecraft. 2014 Pearson Education, Inc. Assignment 5. Multiple Choice Identify the letter of the choice that best completes the statement or answers the question.